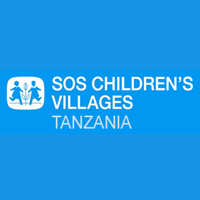 SOS Children's Villages Tanzania is a local non-government organization affiliated to SOS Children's Villages International. a worldwide childcare organization that provides orphaned and destitute children with a permanent home and educational opportunities. SOS Children's Villages Tanzania is an equal opportunity employer and committed to keeping children safe from abuse and harm, therefore candidates applying for this post will be subject to child safeguarding recruitment procedures and checks.